One aspect that is great about being on vacation is that you can try out delicious cuisine that is different than what you might ordinarily eat. When you are in Cabo San Lucas, Mexico, staying at the Villa del Palmar Cabo, you are sure to lick your lips at all of the various fine dining alternatives that you find. You may even want to push your New Year’s resolution aside. All guests at Villa del Palmar Cabo (including timeshare members) are able to choose between a European plan and the all-inclusive option. With the European option means that you pay as you go along, while all inclusive, just as it says, means that all your food and drinks are including 24 hours. Go to each and every one of the restaurants at Villa del Palmar Cabo, or you can choose just one and have a bit of everything on the menu, if you want. Enjoy an experience that is one-of-a-kind at Villa del Palmar. 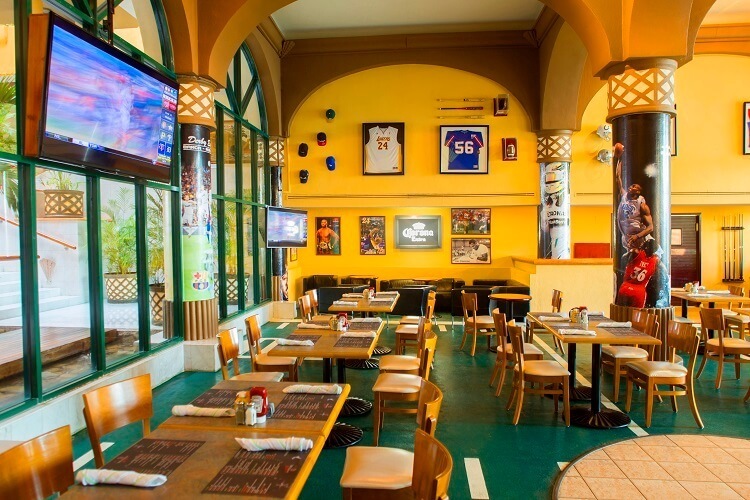 There’s a great deal of entertaining attractions at the Tortugas Sports Bar at Villa del Palmar Cabo. It is a wonderful place to have a casual dining experience. Pick up some tasty food as you watch the game. It is open between 1 p.m. and 10:30 p.m. Pick up after-dinner drinks and have your lunch here, as well. Sometimes you have a craving for dessert while on vacation in Mexico. Choose between various amazing treats, including refreshing beverages such as coffee. Stop in alone or come with your entire family. Villa del Palmar Cabo’s nice and cool desserts are well worth it. You can eat a meal at any time of the day when you visit this quaint beachside bistro at Villa del Palmar Cabo. They serve breakfast, lunch, and dinner in the form of traditional dishes that will make you want to have more. Adding to the great food and drinks, the cool ocean breeze and gorgeous sunset will have you pleased to be there. If you are looking to eat but you want to stay in your swim clothes and flip flops, look no further than the Taco Bar. The chefs at this restaurant prepare many of the Mexican favorites, so it is something that you will not want to miss out on while in Cabo, Mexico. You will delight in the fish, chicken, and steak tacos, as well as the marinated pork version that they sell. Enjoy the delicious salsa that is made by the restaurant. Have a cold cerveza or frozen margarita along with it. You are certain to greatly enjoy the tastes and other amazing things about the Taco Bar of Villa del Palmar Cabo. If you would like to leave a review of any restaurant at Villa del Palmar Cabo, please leave a comment.